Amethyst is commonly thought to have healing powers and help to clear the mind of negative thoughts. 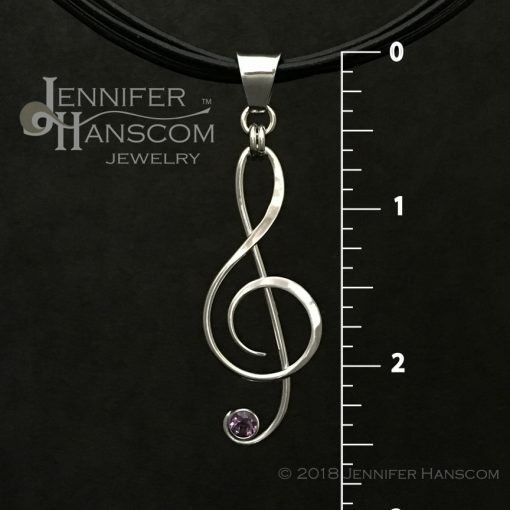 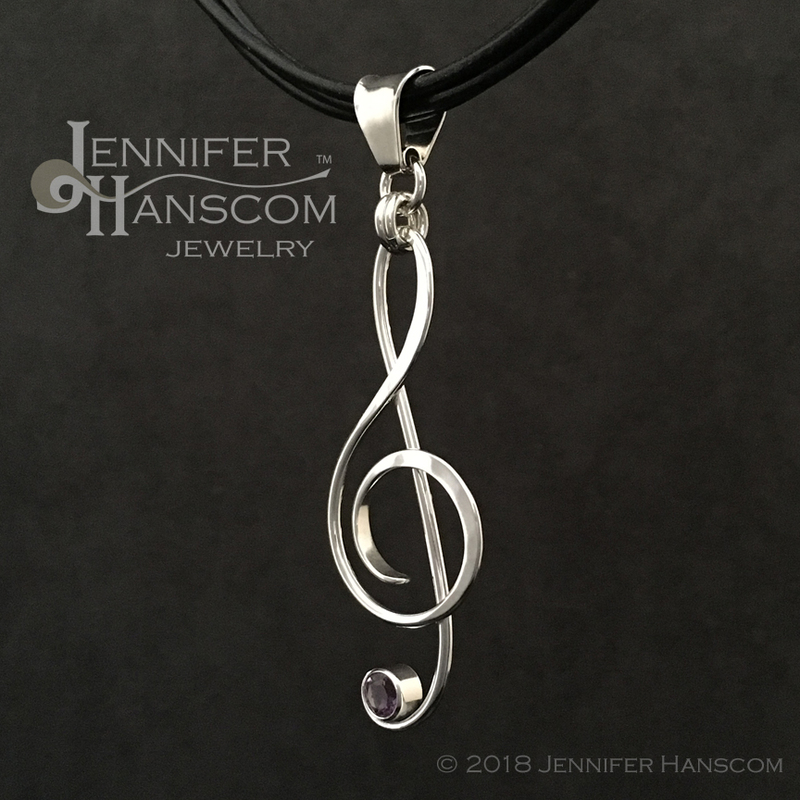 This beautiful G clef pendant (or treble clef as you prefer) is sure to enhance the qualities of the amethyst that it features. 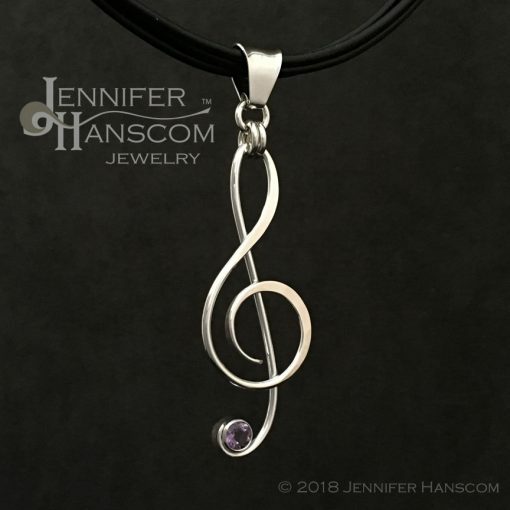 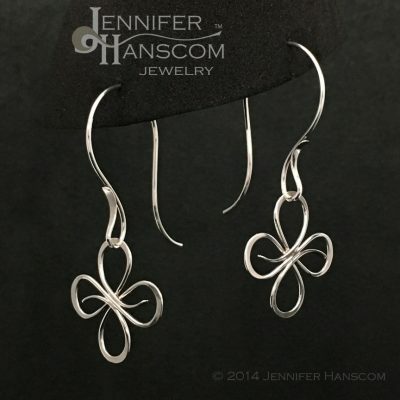 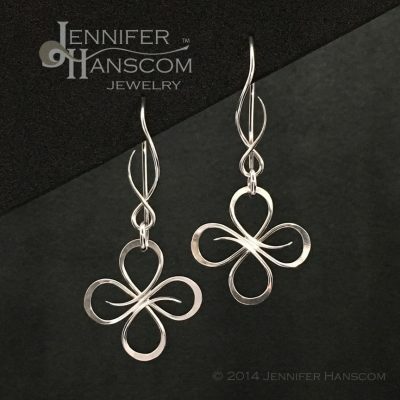 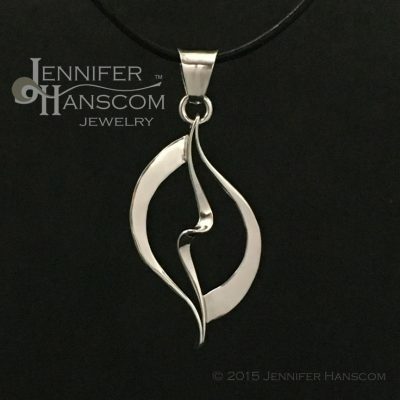 Wearing this pendant along with listening to some uplifting music and a few fun dance moves, you will not only look great but you will feel great too!